During a visit back to the U.S. in August, I got to spend the day with a friend of mine and meet her son for the first time. As we caught up, we enjoyed a lunch of chicken salad and chips. 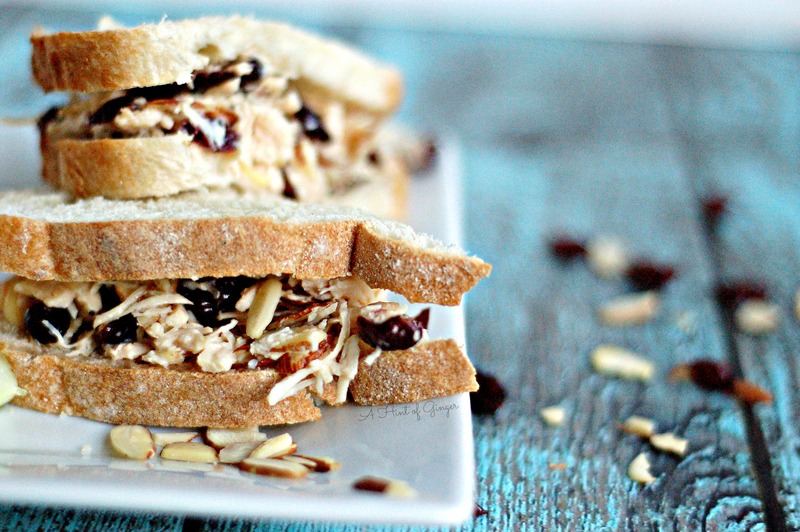 I realized somehow I had never tried chicken salad before, but I loved this recipe and realized it was something that I could easily make and have on hand for quick lunches. Last weekend, we dusted off our bikes and went for a ride around our neighborhood. Afterward, this sandwich sounded like the perfect lunch to have and it was. The best thing is that in making one batch, you have additional servings ready for another day of the week. This is one of those recipes that you can really add whatever you want into it or switch out ingredients; apples, walnuts, etc. In a small mixing bowl, mix mayo and honey together. 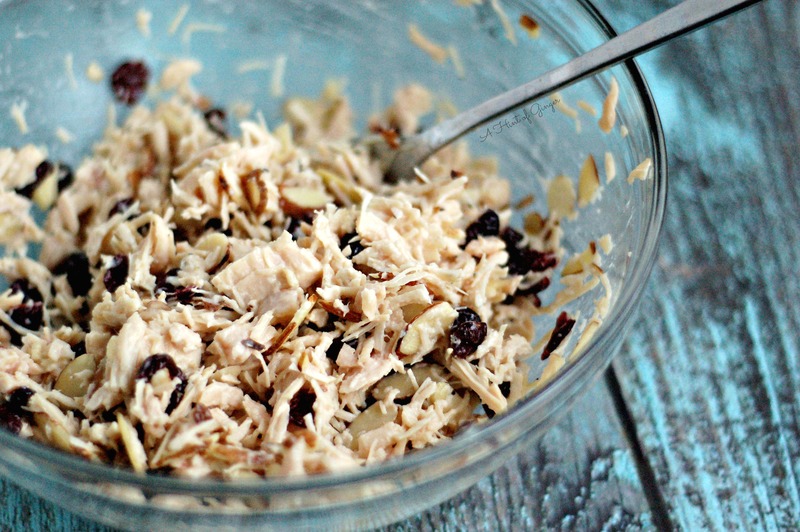 In a medium mixing bowl, combine the chicken, cranberries, celery, and almonds. Add the mayo/honey mixture a little time until coated as desired.